Harris & Ewing Collection glass plate negative. Washington, D.C. 1915. 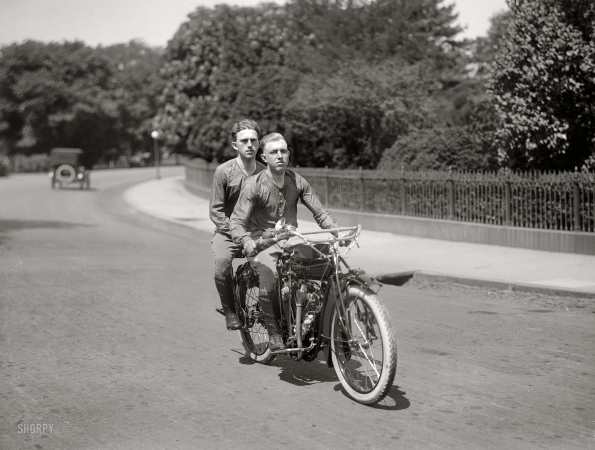 "Baker and O'Brien, transcontinental motorcyclists, at north of Ellipse below White House."